Kids, when in the rainy city of Seattle, will have a fabulous time exploring all the sights on offer, most of them being child-friendly and all-inclusive. 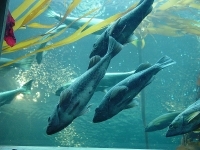 Take a trip to the Seattle Aquarium where children can learn and be mesmerised by the exquisite displays of fish and marine life, or head over to the Woodland Park Zoo to meet some furry friends. More active children will love a day out at the Olympic National Park where glacier-capped mountains meet lush green forest where they can stretch their legs and take in a hike, walk, or even mountain bike. 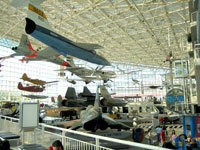 Children who are interested in aviation will love the Museum of Flight, and children with a penchant for the decorative should visit the Rosalie Whyel Museum of Doll Art. On days when the rain sets in and outdoor activities with the kids are not an option, head to the Children's Museum with the little ones, while older kids will love the Experience Music Project, even if just for the zany design of the pink building.